Digital Content Coordinator, Hailie Johnson-Waskow, introduces GirlSense & NonSense’s October campaign dedicated to the controversy of women in combat roles in the United States military. By January, military services have to open all of their combat positions or ask for an exemption, which must be backed up by scientific evidence. Many women, including the first female army rangers, argue that they have proved their abilities and exclusion from combat roles is simply misogyny. Numerous bodies, including the Marines, argue that women are not physically or emotionally equipped to deal with the stresses of combat. At nearly every turn, women are forced to be complacent in a system of oppression and patriarchy. It is time that we examine some of the reasons that we are seen as weak or lesser even when women have proven their abilities. 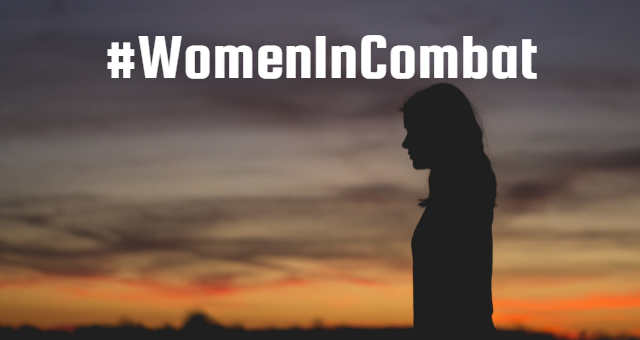 This campaign seeks to examine the issues surrounding the admittance of women in combat; from the sensitive questions of the existence of inherent patriarchy to the examination of the qualifying abilities of women. This campaign will be conducted with the full acknowledgement that all opinions are worthy of consideration and that no ideas are invaluable. Thus, we begin the discussion of women in combat, in order to create commentary on an incredibly socially and culturally relevant question.